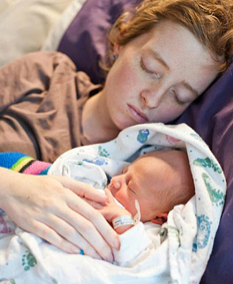 Jenni Lake gave birth to a baby boy the month before her 18th birthday, though she did not follow the path of a normal mother. While being admitted to the hospital, she pulled her nurse down to her at bed level and whispered into her ear. The nurse would later repeat the girl’s words to comfort her family, as their worst fears were realized a day after Jenni’s baby was born. “She told the nurse, ‘I’m done, I did what I was supposed to. My baby is going to get here safe,”‘ said Diana Phillips, Jenni’s mother. Jenni made the ultimate sacrifice for her son. She was given a choice to undergo treatment and lose her baby or continue with birth and know she wasn’t going to make it. 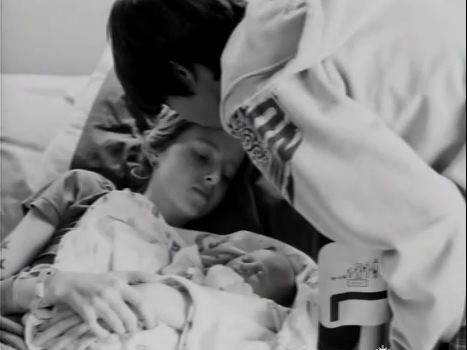 Jenni and Nathan named the baby Chad Michael after their dads. No greater love than giving ones life for another. That mother entered heaven the moment she died. Hope the little tyke makes the most of his mothers sacrifice. I am sure his grandparents will show him every consideration and guard him with their lives as his mother would have done. Wow…I hate that for that family but as they lost one life they gained another life that is going to be wonderful in so many. This is utterly amazing; the ultimate sacrifice. Well, the gates of Heaven await Jenny Lake! What a truely unselfish choice this young girl made and what a special child this will be. This girl was a hero, God Bless Her the Baby and the Families ……What an amazing story. I am speechless. What a beautiful person. Rest in peace sweet angel.